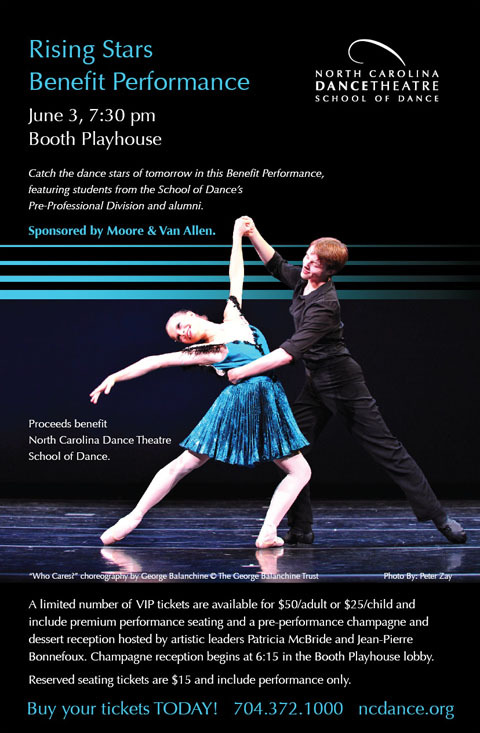 At the end of every school year, North Carolina Dance Theatre School of Dance puts on a Benefit Performance, and this year is no exception. The performance is at 7:30 on Thursday, June 3rd, at the Booth Playhouse. This isn’t the school’s recital – it is an opportunity to see pieces the older students (apprentices and trainees) have worked on throughout the year. It is a really fantastic show. If you live in the Charlotte area, don’t miss the opportunity to some and see it. If interested, you can call the box office at 704.372.1000.